The top-selling car brands in the UK during the first nine months of 2013 were Ford and Vauxhall. The Ford Fiesta remains Britain’s favorite car. The British new car market continued to expand in September 2013 with the strongest sales in 66 months. Year to date in 2013, new passenger vehicle registrations in Britain increased by almost 11%. The most popular car marques in the UK remained Ford, Vauxhall and Volkswagen while the Fiesta and Focus were the most popular car models. New passenger vehicle registration in Britain increased in September 2013 for the 19th consecutive month with unit sales the highest for a single month since March 2008. During the first nine months of 2013, 1,794,924 cars were sold in the UK – an increase of 10.76% over the same period a year ago. Private car sales were particularly buoyant with an increase of 17% and a market share of 48%. Car manufacturers generally showed very positive growth in the UK during the first nine months of 2013. Of the top 25 carmakers, only Chevrolet failed to increase unit sales. Half the carmakers outperformed the broader market, including top-selling Ford and Vauxhall – in most other European markets Ford and Opel continue to loose appeal. Compared to the first three quarters of 2013, the only rank change amongst the top ten best-selling car manufacturers was a change in positions for Mercedes Benz and Peugeot. Mercedes (+18%) was also the strongest performer of the top-selling car marques in Britain while third-placed VW showed the weakest growth. Renault’s budget brand entered the UK market at 24th place at the expense of Lexus, which slipped out of the top 25 brands. Chevrolet was the only top-25 brand to have had weaker unit sales during the first nine months of 2013. Suzuki showed the strongest growth and pushed Volvo out of the top 20. 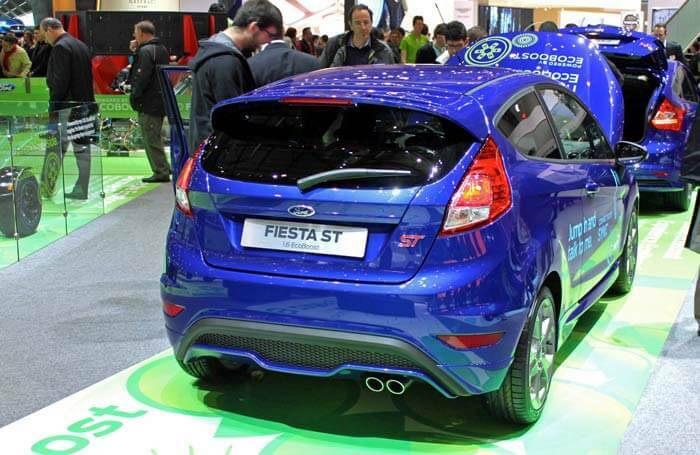 The Ford Fiesta remains Britain’s favorite car model with unit sales over 7,000 more in 2013 than during the first three quarters of 2012. The top seven most popular cars in the UK were the same models as a year ago but with small rank changes: the Focus overtook the Corsa to regain second place while the Vauxhall Astra narrowly outsold the VW Golf. The VW Polo slipped one place while the BMW 1 Series and Peugeot 208 are new entries at the expense of the Mercedes C Class and Fiat 500.